Just imagine seeing your long-awaited first child, a beautiful baby boy, becoming desperately sick. Then imagine hearing the devastating news that he has Type 1 (T1) diabetes, a chronic, auto-immune condition that requires life-long management and daily medications. Currently, there is no cure for Type 1 diabetes. Now imagine that not even 18 months later your second child, a precious baby daughter, begins to feel unwell and after rushing her to hospital, you hear those same heart-breaking words. “One night last year, Addison suddenly became ill, so we tested her blood glucose just as a precaution, but when we saw her numbers, they were ungodly! We know that you may relate to that terrible moment when you or perhaps someone you love received a life-changing diagnosis of either Type 1 or Type 2 diabetes. A diagnosis of diabetes can be a steep learning curve and can feel scary, overwhelming and confusing. We want Kiwis living with diabetes to know that they are not alone, that we are here to help and support them every step of the way. 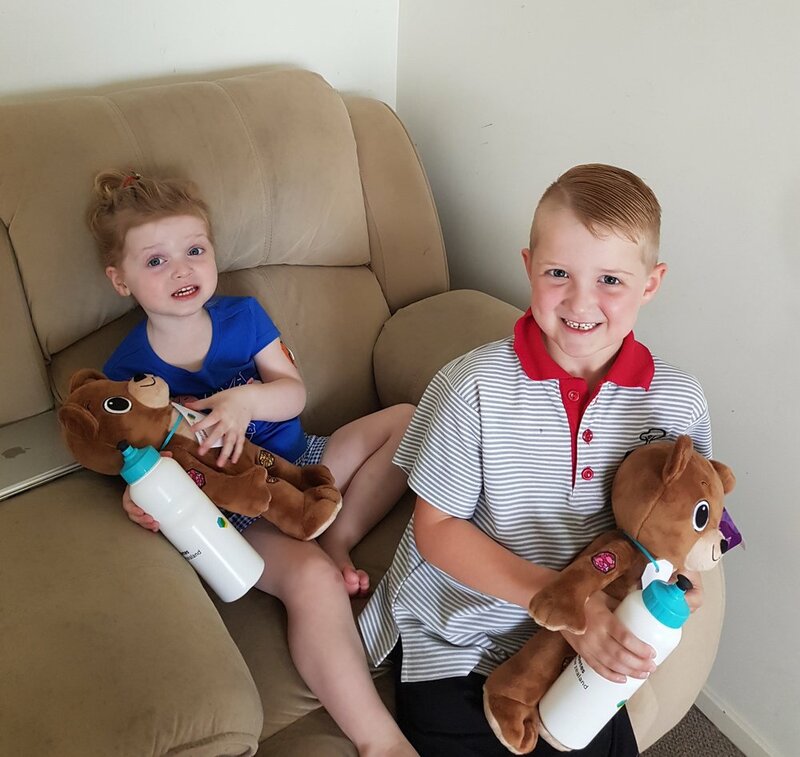 When Lisa recently applied to us to have ‘#1 Packs’ with a Jerry bear toy sent to Kaden and Addison, we popped these in the post straightaway. Jerry the Bear also has T1 diabetes – and children can learn more about how to manage their own condition by helping Jerry manage his. With a clever app that can be used on any digital device, children with T1 can learn all about how to look after themselves while still playing sport or with their friends and enjoying life to the full. We want to make sure that every Kiwi living with diabetes has access to vital support initiatives like the #1 pack for our youngest members. But we need your help to make that possible. Diabetes affects nearly all of us in some way. Diabetes is a massive health problem currently sweeping across New Zealand. Over 240,000 of us are already living with it, and another 40 are diagnosed with it every day! We are absolutely determined to make sure every New Zealander has the information they need to take control of their diabetes … or perhaps even prevent it … and to reduce its devastating health impact. Please, will you give a generous gift today to ensure that ALL Kiwis living with diabetes receive the help they need? For further information about ordering a #1 Pack head here.